Details: We invite the entire community to Scintilla Charter Academy on December 11, 2018, for our Winter Celebration of Learning. Our scholars will showcase the high-quality work they have created during the last nine weeks and will walk visitors through many exciting exhibits. 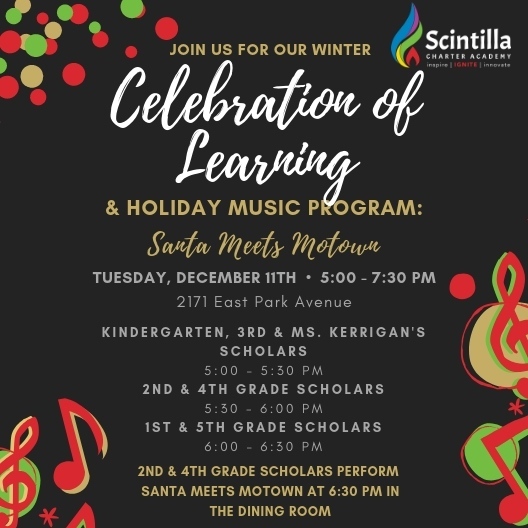 At 6:30 pm, our 2nd, and 4th-grade scholars will perform their holiday music program, Santa Meets Motown.